A new luxury movie theater opening in Westfield Montgomery Mall promises to erase the annoyances of going to the movies and replace them with craft beer, movie memorabilia and reserved seating. BETHESDA, Md. — Forget the long lines, fake butter and annoying single seats. A new luxury movie theater opening in the Westfield Montgomery Mall promises to erase the annoyances of going to the movies and replace them with craft beer, movie memorabilia and reserved seating. 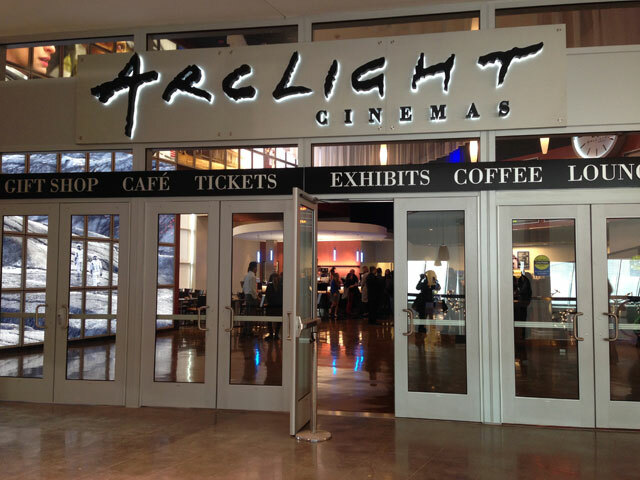 ArcLight Cinemas will debut its first East Coast location Friday in Bethesda. Like its California counterparts, the theater offers a very different kind of consumer experience, complete with 16 screens and surround sound. “The goal of ArcLight … is to honor the love of movie-going and remove all of the hassles and barriers that have popped up,” says Gretchen McCourt, ArcLight executive vice president of cinema programming. 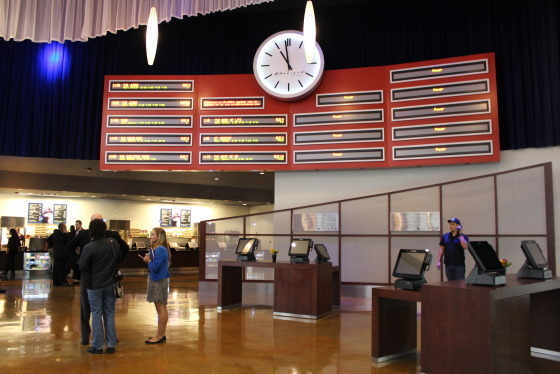 The concept took off in 2002, when ArcLight opened its first theater in Hollywood, California. Since then, it has expanded to include five locations in Southern California. “[Bethesda] is a wonderful city,” says Steven Ramskill, ArcLight Cinemas senior manager of theater operations. That experience includes the ability to order tickets online and pick your seats in advance. Prices start at $11.25, and seats can be purchased online via the ArcLight website. If you decide to wait and purchase at the theater, you will be greeted by electronic kiosks in the lobby that will show you which remaining seats are available. Humans have been taken out of the equation. Once you’re seated, don’t expect to see commercials prior to the trailers. Those have been replaced by interviews with filmmakers and actors talking about the movie you’re about to see. Everything inside the theater screams of a spectacular Hollywood history that the masterminds behind ArcLight hope to bring to audiences nationwide. Even the lobby and interior hallways are littered with stills from upcoming blockbusters, and two costumes from “Robin Hood” and “Black Swan” sit behind glass cases. “This is really the culmination of 60 years of movie-going,” McCourt says. The new theater will open to the public Friday. Check ArcLight’s website for movie times and more information.